WASHINGTON, D.C. (April 29, 2011) – Bonnie Newman Davis, an associate professor of journalism at Virginia Commonwealth University’s (VCU) School of Mass Communications was selected as Journalism Educator of the Year by the National Association of Black Journalists at its spring Board of Directors meeting. Davis will join other top honorees in Philadelphia during NABJ's 36th Annual Convention and Career Fair, the largest gathering of minority journalists in the country. For several years, Davis served as academic director of the University’s Urban Journalism Workshop, an intense two-week journalism program for high school students that is co-sponsored by the Dow Jones Newspaper Fund, Inc. She chairs the Virginius Dabney Committee for Visiting Professors in the School of Mass Communications, and the College of Humanities & Sciences Library Committee. She is the immediate past Secretary for the College of Humanities & Sciences Faculty Council, and is faculty adviser for the VCU student chapter of the Society of Professional Journalists. Davis also serves as an informal adviser to VCU’s student chapter of NABJ, and is a co-founder of the former Richmond Association of Black Journalists, which won NABJ’s Chapter of the Year in 1998. From 1999-2003, Davis served on NABJ’s national board as the mid-Atlantic regional director. 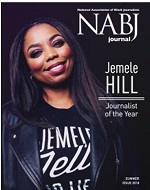 "I am absolutely thrilled to be recognized with this award by my NABJ family! Although I only have been in academia (full-time) for six or seven years, I believe that my work as an educator began the day I became a journalist some 30 years ago,” said Davis. "I pay homage to the many educators and journalists who have served as my coaches, confidantes and mentors, particularly Mrs. Loreno Marrow, my first journalism professor at N.C. A&T State University, and to my late husband, William H. Davis, a lifelong educator who instilled in me the confidence to step into a college classroom in 1994. I also thank the hundreds of students whom I have had the privilege of mentoring and teaching at several colleges and universities in Virginia." In addition to her longtime affiliation with NABJ, Davis is also a member of the Diversity Committee for the national Society of Professional Journalists, and serves on the board of SPJ’s Virginia Pro Chapter. She also holds memberships in the Association for Education in Journalism and Mass Communication and the Online News Association. "Bonnie Newman Davis has challenged her students to stay true to the principles of journalism while asking them to go beyond their comfort zone with new technology. Her classrooms are like newsrooms, there are no shortcuts,” said NABJ’s Region II Director, Charles Robinson. 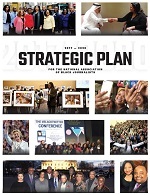 NABJ's 36th Annual Convention and Career Fair will take place Aug. 3-7, 2011 at the Pennsylvania Convention Center in Philadelphia, PA. For additional information, please visit here.